Fall is in the air. Or not. But we want it to be, right? I mean it’s September and all. To be honest, I don’t love fall because it means winter is coming. However, after the hot summer it is nice to experience the cooler air. Plus, I love the fall colors, the crunching of the leaves (outside only, please! 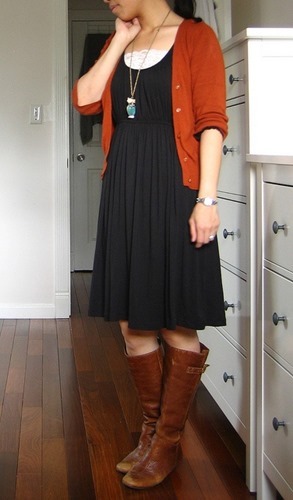 ), going to the pumpkin patch, enjoying a warm drink, and of course, fall fashion. 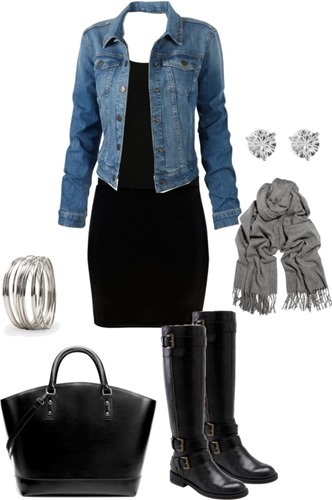 I have been trying to come up with ways to turn my summer clothes into fall items, and it seems all I have to do is add a jean jacket or chambray shirt (oh ok, or a cardi) and boots and I’ll be good to go! [source]On this one I’d add a skirt over the leggings. 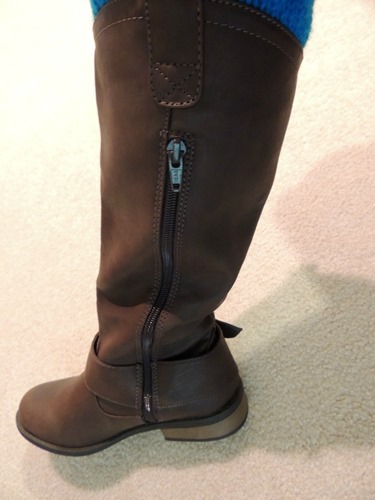 I just bought a pair of tall brown boots! I got them at Kohl’s, in the kids’ section. Don’t laugh. 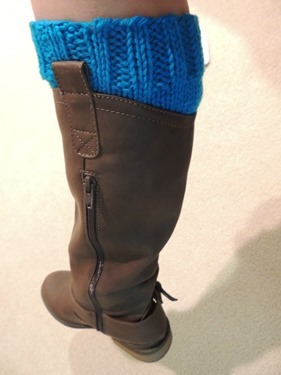 I recently discovered that I can wear a kids’ size 5 – it is just about the same as a women’s 7. Since I’m not tall, I figured the kids’ size wouldn’t come up too high on my leg. And it saves money! 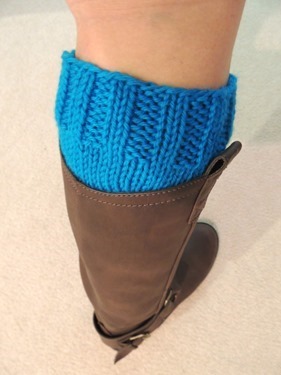 I knit this boot cuff! (Only finished one so far). 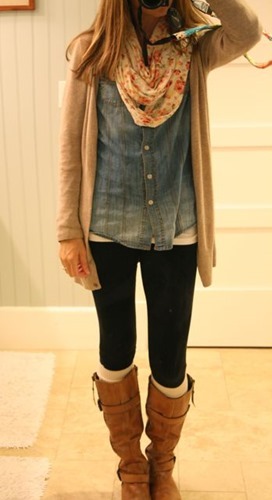 I’m thinking it will be perfect when it does get cold out! 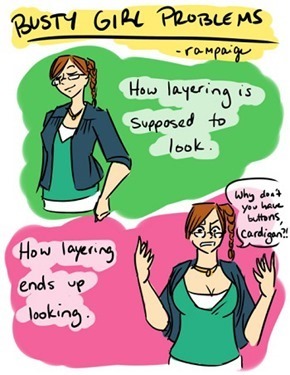 My game plan for fall is layers, even though I know layers don’t look the way they’re supposed to on me.